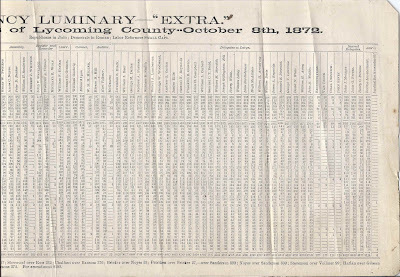 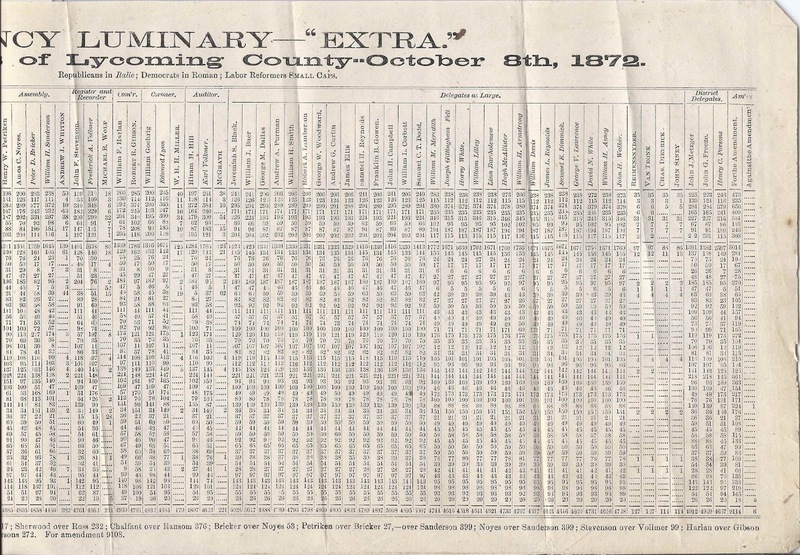 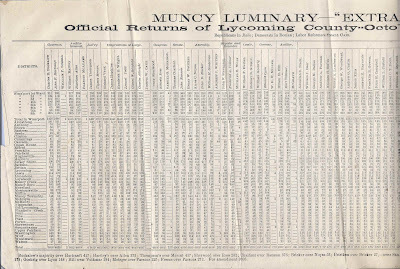 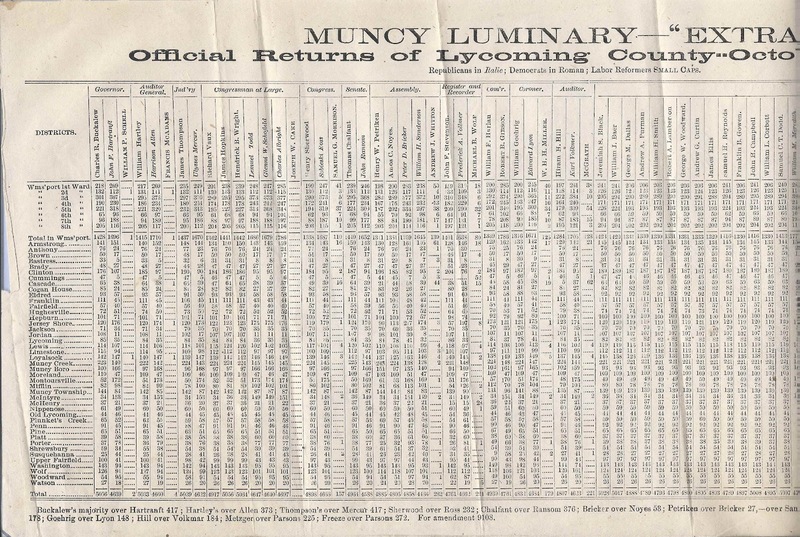 Heirlooms Reunited: 1872 Election Returns of Lycoming County, Pennsylvania; sheet from the "Muncy Luminary"
1872 Election Returns of Lycoming County, Pennsylvania; sheet from the "Muncy Luminary"
1872 election returns of Lycoming County, Pennsylvania, printed on a sheet approximately 17" x 8" that was apparently printed as a special piece or inserted in the Muncy Luminary, which started publication in 1841. 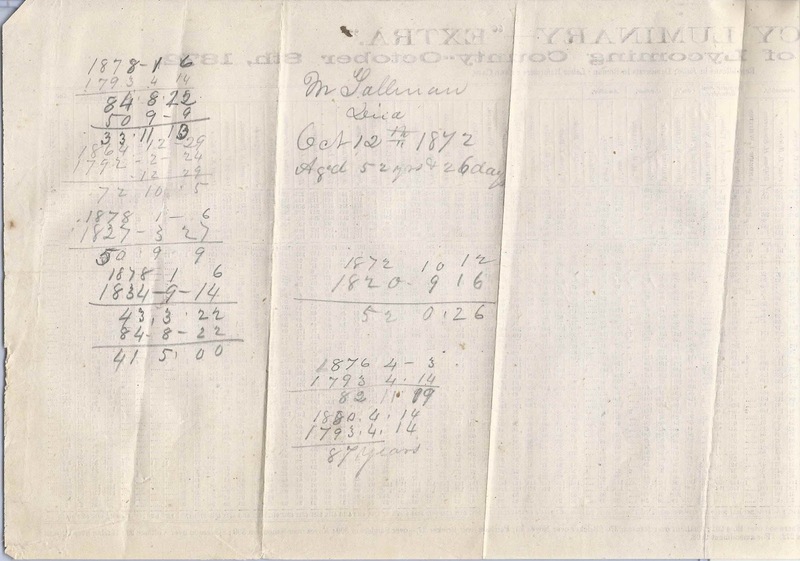 The piece was inserted in the Family Bible of Daniel and Hannah (Clayton) Tallman, the subject of an earlier post. 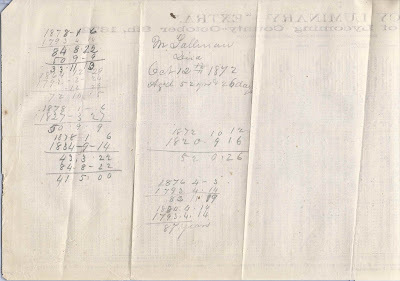 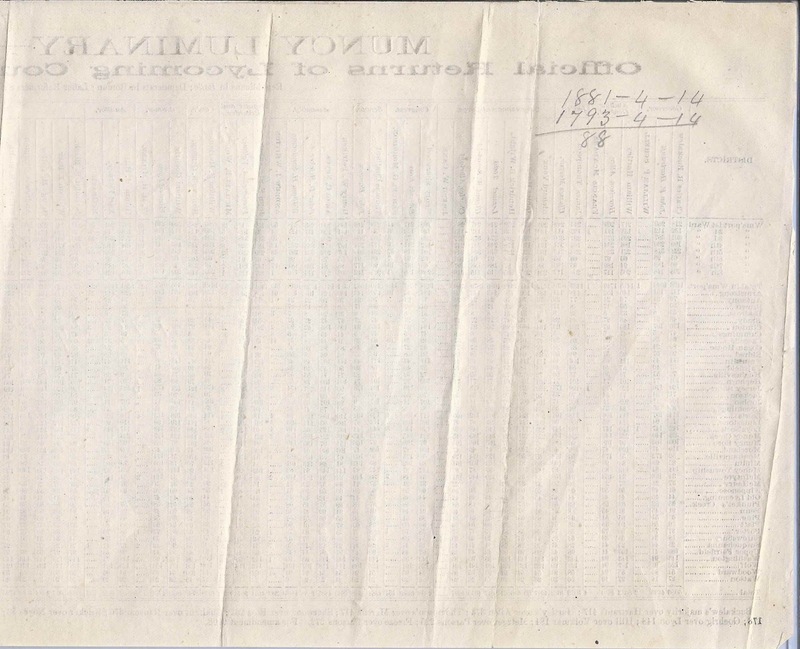 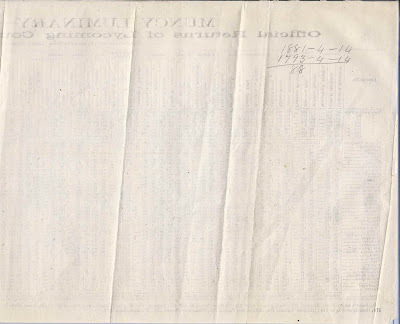 The reverse of the sheet has a few arithmetic calculations in pencil and the death date of Daniel and Hannah (Clayton) Tallman's son Matthew Tallman, who died 12 October 1872.